First off, I love that Stephen Colbert has his own hour in late night these days. Secondly, the show's opening credits reel is awesome. 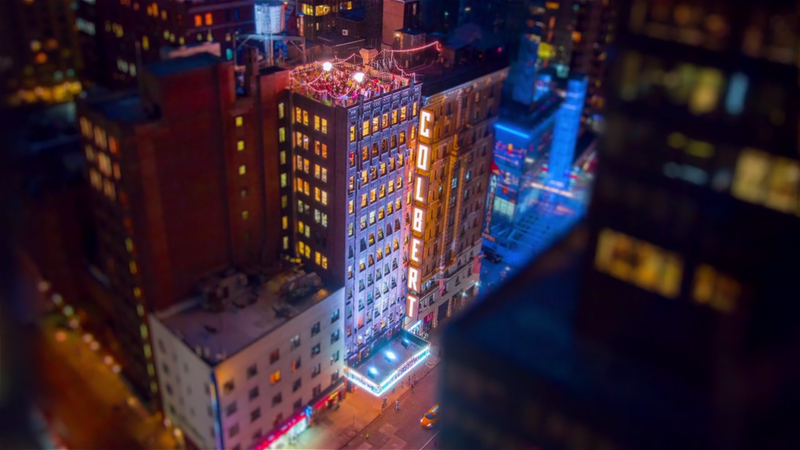 I'm a big fan of tilt-shift photography - adjusting the depth of focus and making a few additional tweaks can transform real cities into miniature models of themselves, as shown in the director's cut below. It's kind of a different world, isn't it? Hands down one of my favorite Hidden City articles in recent memory, Crane City 2016 takes the reader on a first-hand tour of a multitude of tower cranes throughout Philadelphia at a time when the city is seeing explosive growth. I don't think there has been a development boom like this in Philadelphia's history, and I'm so glad that it's coming at a time when I can experience it directly. The skyline today is so much different than it was 10 years ago, and it's thrilling to watch it transform into a completely different monster that developers probably never expected when One Liberty Place became the first to rise above City Hall in 1986. Bradley Maule, author of Crane City 2016, formerly headed up his old project at phillyskyline.com which is an absolute treasure trove of development history and construction photos. I really recommend checking it out. In a rare trip to the Americas, this past weekend brought Pope Francis here to Philadelphia after stops in Washington and New York. Philadelphia has been criticized for the rollout of its plan to fence off and restrict access to a massive section of the city center, but those temporary security measures resulted in some once in a lifetime photos thanks to the no-vehicle policy. For the first (and likely last) time ever, visitors and residents alike were given a glimpse of the city as a haven for pedestrians and cyclists. I couldn't pass up the opportunity to see it for myself, so I grabbed my bike and spent about four hours breathing in the air of a seemingly empty city. Philadelphia's skyline doesn't truly compare to that of New York, but Philadelphia is experiencing one of the most substantial high-rise booms in recent memory with the skyline creeping westward thanks to the recent additions of the Cira Centre, Evo at Cira Centre South, and the FMC Tower, which should be topped out at some point this spring. I recently came across an early street-level rendering of the FMC Tower that reminded me of an ominous article about the Citicorp Center at 53rd & Lexington in Manhattan. Essentially a skyscraper on stilts, the Citicorp Center had a massive design flaw that could have killed thousands with a strong gust of wind. Designed by architect Hugh Stubbins to preserve the visual integrity of St. Peter's Church below, each stilt was positioned at the midpoint of each side of the building rather than the more stable corners (imagine a chair built with all four legs directly under the center). Chevrons were integrated into the initial design of the building for bracing, but after the issue of wind loads against individual corners was brought to the attention of the building's engineer by a Princeton University student in 1978, the shocking conclusion was that the tower literally had a 50/50 chance of collapsing down from its center if high winds struck the building at a certain angle. This crisis quickly led to a top-secret project conducted at night over the course of several weeks. The building was very quietly reinforced and a disaster was averted, but these types of stilt bases make me nervous after hearing about the Citicorp Center. Below you can see the FMC Tower rendering and the existing base of the Citicorp Center. Similar, yes, but let's hope that the lessons learned in 1978 have been applied to Philadelphia's next addition to its skyline. For more information, head over to Slate's article and make sure to watch the short three-part YouTube documentary about the Citicorp Center linked at the bottom of the page. Cities are so fascinating. Architecture, history, personality, transit -- there's just something about all those little moving parts working in unison that draws me in. Back in April I featured a video of a colorful subway ride from 14th & Broadway all the way down to Coney Island, in which I referred to graffiti as "a major problem with the New York City subway system in the 1970s and 1980s." After watching Style Wars, I'll think twice before making that sort of statement again. 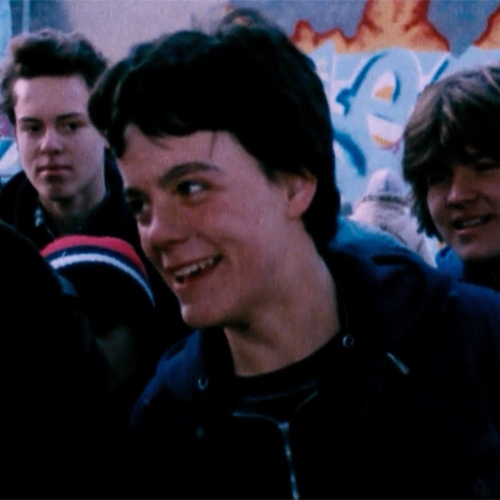 Above is a crew of 12 graffiti artists featured in this beautifully shot 1983 documentary that caught me completely by surprise. Some are heavy hitters in the underground world of NYC subway writing while others are merely background players. Inevitably, they're met with varying levels of vitriol by the opposition below who see graffiti as an insult to the city they choose to call home. The artists in Style Wars share common threads of youthful rebellion and the demand for artistic freedom while their opposition hails from a varied range of ethnic, socioeconomic, and generational backgrounds. I see it as a matter of creativity versus rigidity. When the discourse is reduced down to its simplest form, this film aims to push our society towards a more conclusive definition of art -- a term that I feel will never truly be defined. Do yourself a favor and watch the opening scene below. If spray paint and 80s fashion is your thing, it's a beauty. This isn't new, but amazing nonetheless. The 9.0 earthquake that decimated areas of Japan in March 2011 was documented on a scale we've never seen before. With the advent of mobile technology dropping video cameras in everyone's pockets, we're able to get a first-hand account of pretty much anything across the globe with the help of video-sharing sites like YouTube and Vimeo. Take a look at this video [01:33] shot from a high-rise directly after the earthquake struck. It creates a whole new concept of motion sickness. And do yourself a favor and play "Where Is My Mind?" by the Pixies in the background as you watch. As it turns out, this is Gary Hustwit's third and final chapter in his design trilogy, with parts one and two being Helvetica (2007) and Objectified (2009). Little did I know, but Hustwit is also an Executive Producer of I Am Trying to Break Your Heart, a documentary that follows Wilco during the recording of their 2002 album Yankee Hotel Foxtrot. It's definitely worth a watch if you dig the band. The goal of Urbanized is to give the viewer a glimpse of the innovation necessary for effective urban design and the direction we're headed as a civilization. Pieterse's morbidity really helps drive home the point that we are a civilization in transition. Population control is a major issue that isn't really being dealt with, and the advances in modern medicine that are extending the human lifespan will stretch our planet to its limits in the coming decades. Therefore, there has been an emphasis placed on effective development of our urban areas as the metropolitan landscape continues to grow further away from the post-World War II suburban explosion. One really interesting glimpse of unusual urban design is Brasilia, the federal capital of Brazil. The layout is heaven for those who crave wide open spaces amidst a sea of concrete, steel, and glass. However, the wide expanses of land lead to an undeniable need for motorized transportation, as pedestrians and cyclists just aren't able to navigate the city effectively. As a result, traffic cripples and pollutes the city, in turn destroying the layout's appeal. One city that took a different approach to overcrowding and transportation is Copenhagen, where an estimated 37% of the workforce now commutes to and from work via bicycle. Compare this to my home city of Philadelphia, where a 2009 study found that just 2.2% of workers commuted via bicycle. Keep in mind that Philadelphia is the most heavily biked city in the nation, even ahead of more population-rich cities like New York, Chicago, and Los Angeles. By comparison, Copenhagen's numbers are absolutely astronomical. So how has this Dutch city of 1.2 million managed to become so bike-friendly? Urban designers have found a way to make cyclists feel safe on the road. In Philadelphia, I see delivery trucks and lazy drivers constantly parked in the designated bike lanes, forcing cyclists to either ride on the sidewalk or in the busy street -- certainly not a comfortable position for someone so unprotected. In Copenhagen, the bike lane is protected from moving vehicles by a lane of parked cars. Instead of parking against a curb, motorist's only option is to park alongside the painted outside line of the bike lane, providing a shield for the cyclists which helps promote a feeling of safety and protection. It also doesn't hurt that this leads to a decrease in both traffic and pollution. If people feel safe, they'll give it a shot. If they don't feel safe, they'll do things like this to prove their point. A major element of effective urban design is systematically involving people on the ground level to help uncover solutions that affect their everyday lives as city residents. By working together to boil down problems to the very core, strategies can be developed to solve, or at least improve upon the urban issues that hinder our commutes, endanger our safety, and disrupt the environment. 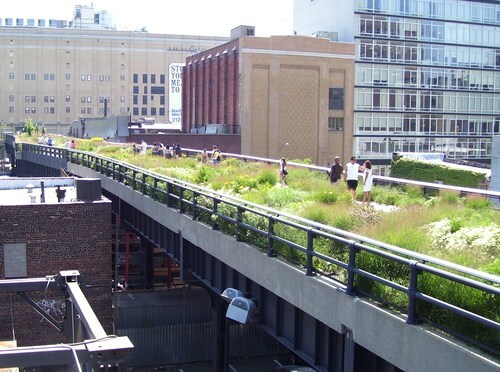 One perfect example of this initiative is the High Line in Manhattan. Running 18 blocks (and growing!) from Chelsea down to the Meatpacking District on the West Side, the High Line was originally an elevated railway for freight trains that hauled their last shipment of frozen turkeys in 1980. After two decades of neglect had eroded the railway into an eyesore bound for demolition, the High Line is now a massive public park that offeres an unparalleled tour of an incredible city. This is ingenuity at its finest -- taking a stretch of rusted steel and transforming it into a peaceful getaway that can host community events and promotes development in the area. If these issues grab your attention, Urbanized is well worth 85 minutes of your time. It's great to see so much innovation across the world, but it leaves me wondering about the future of residential suburban development. The overcrowding of cities and the growth of the upper class were two of the many factors that led to the suburban revolution of the mid-twentieth century, which we are now getting away from by moving back into our cities. Is this going to be a back-and-forth movement that sees the population migrating back into the suburbs in 50 years, or are we really investing in a solid future for our urban landscapes? Curbed just finished up its first annual installment of Hotels Week, which I took as an opportunity to write a couple lengthy pieces detailing the history of the Divine Lorraine and the Benjamin Franklin House. But my biggest contribution by far was a massive 99-point map outlining Philadelphia's hotels of yesteryear. "The Definitive Guide to Philadelphia's Historic Hotels" was a 25+ hour project that doesn't even cover the entire spectrum of the city's existing and demolished hotels. There are dozens more that could have been included, but the back-end stuff only allowed for a maximum of 99 points. The first 19 hotels on this map are still standing today in some capacity, while the rest are long gone. I was fortunate enough to track down photos for 57 hotels after many hours scouring digitized ebooks from the 1800s and historical photo archives. It was a mammoth project that I plan to develop further in the future. Philadelphia lacks comprehensive guides for this sort of thing, so I might as well keep going. Check out the full map here and marvel at the architectural styles of the 18th and 19th centuries. My personal favorites are the Drake (#15) and the Continental (#25). Yours? Since everybody is already talking about Hong Kong's role in the Snowden matter, let's head over to China for a fascinating example of live-in urban decay. Originally built as a walled-in military barracks, Kowloon Walled City exploded with unsupervised vertical construction in the 1970s. It topped out at 14 stories and housed about 50,000 squatters during its peak in the late-1980s before being torn down by the Chinese government. 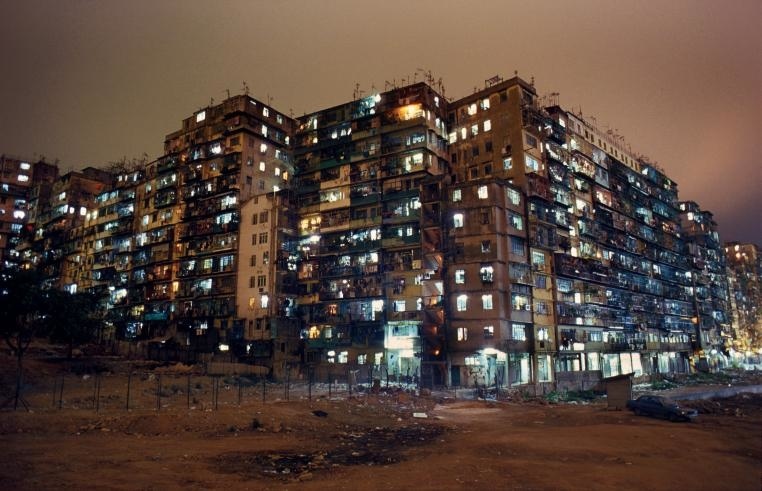 The regulations within Kowloon Walled City were similar to the lawlessness of international waters, with government officials adopting a "hands off" policy towards its development and upkeep. Run by Triads, the city was constructed of roughly 500 interconnected buildings that almost completely blocked out the sun from within. These buildings were constructed without the help of engineers or architects, so there's no way in hell they met safety or sanitation standards. 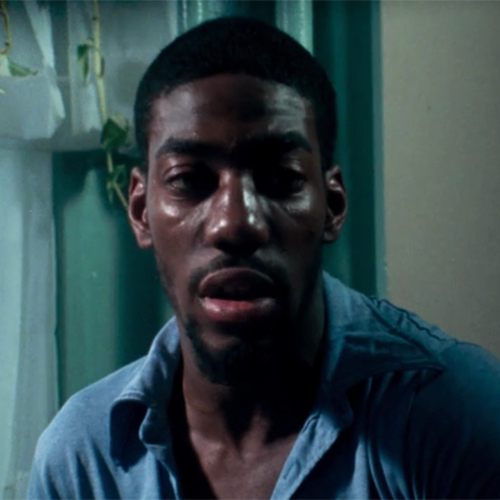 Trash rotted away on the rooftops, gambling and prostitution ran rampant, and the drug trade boomed within its confines (particularly heroin). But despite its dangerous shortcomings, residents seemed generally positive and managed to open small schools and fabrication shops. Despite the tight squeeze (about 40 square feet per person), residents even had electricity and running water. "Think about living in a 1,200 square foot home. Then imagine yourself living with nine other people. Then imagine that your building is only one unit of a 12-story building, and every other unit is as full as yours. Then imagine hundreds of those buildings crammed together in a space the size of four football fields." For photos of the interior, check out Greg Girard's gallery that includes everything from drug use and unlicensed dentistry to fish balls and plunger manufacturing. It's incredible that it never suffered a major fire with so much refuse lying about. And click here for a cool infographic, courtesy South China Morning Post. Cartography lovers rejoice! I just came across a short video (09:40) titled Jerry's Map, which introduced me to an incredibly fascinating world created by one man and inhabited by none. His map has become a lifestyle; a beautiful and never-ending project with a brilliant past and unknown future. Jerry's map is a half-century old, as he first put pen to paper at the age of 15 back in 1963. Every sheet of his map has been saved, archived, and catalogued in an Excel spreadsheet. While digital technology plays a big role in organizing the past, the map itself (purely analog) can't hold a candle to modern computer games like Minecraft and SimCity. So how does the map work, you ask? Jerry draws a card every morning. 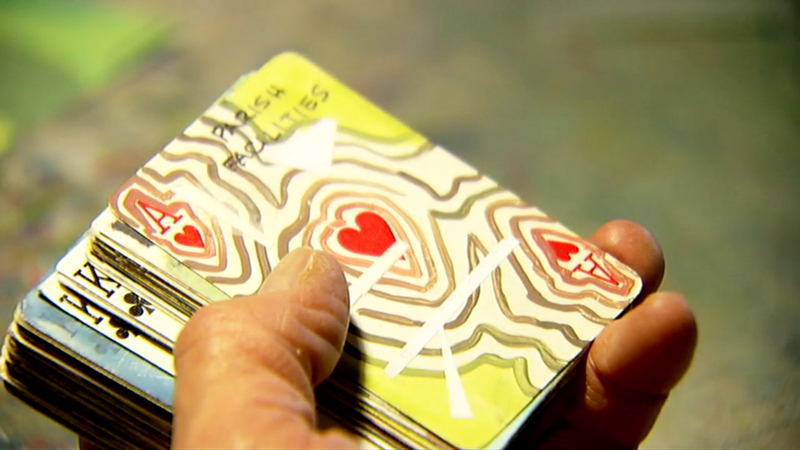 Each card is marked with instructions that must be followed. Development occurs based on the card drawn, like the addition of airports, cemeteries, universities, buildings, and transit systems (among others). The three of spades, however, creates what he calls a new void, which forces an new and ever-expanding world to be created on top of the old one. Watch the video for further explanation on that one. I love the rules he's created to bypass the destruction of the existing world. Jerry is extremely adamant about sticking to the rules that he wrote himself. The intricacy of Jerry's Map is astounding. He really has created his own world; a world that he can both develop and destroy within a set of guidelines. Despite his ability to essentially play God in this realm, Jerry doesn't exactly see it that way. "I'm totally not a religious person, but sometimes I have feelings about that deck of cards that I don't want [the map] disturbed because there's a message in that combination. There's no big guy with a beard sitting at a desk who figured out where all the cards were supposed to go, but what comes out of it I'm very interested to see. There's a reality in there. That's the future predictor." This project reminds me of the countless hours I spent playing SimCity as a teenager. I'd immediately turn all disasters OFF, as I wasn't interested in having earthquakes and aliens destroy the detailed urban landscapes I poured my time into. Once one city was up and running, I'd create another based on the lessons learned from my experience. I guess a combination of boredom and impatience was my own personal three of spades. Since then, I've graduated from fictional maps to real maps and find myself spending hours playing around with Google Maps and the Philadelphia GeoHistory map, which allows users to overlay a multitude of decades-old maps over the current street grid. Thanks to this resource, I've learned about dozens of long-demolished buildings all across the city, some of which I'll be writing about for Curbed over the next few weeks. Stay tuned for that in a couple weeks. 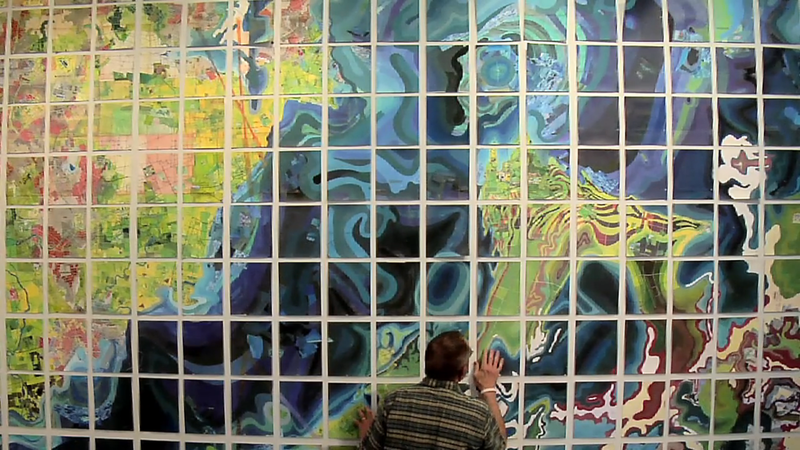 Next time you have ten minutes to spare, watch Jerry's Map on Vimeo (embedded below). I watched it a few times and found myself sketching all sorts of shapes, lines, and crosshatches. Rules don't apply on paper when you never have to show anybody. Give it a shot.